Copline is the first national law enforcement officers hotline in the country that is manned by retired law enforcement officers and is completely confidential. 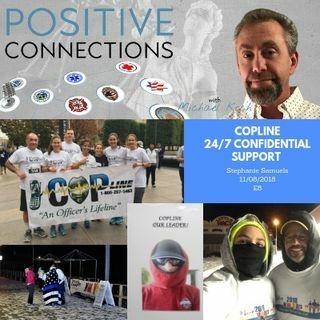 Copline offers 24/7 support for active law enforcement officers and their families and is staffed by trained retired officers. Stephanie Samuels is a psychotherapist and founder of Copline and talks about this amazing program and the positive direction it is heading to assist first responders.